Al-Shabab militants seized two southern Somalian towns from retreating African Union forces Saturday, days after a deadly militant attack on an AU base in the same area killed dozens of Ugandan soldiers, Somali authorities said. 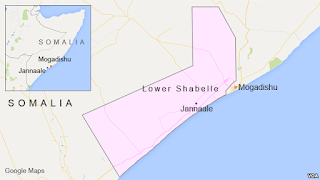 Lower Shabelle region Deputy Governor Abdifitah Haji Abdulle, told VOA's Somali service that troops from the African Union Mission in Somalia, or AMISOM, had withdrawn from a key military base at El Salindi, 60 kilometers south of Mogadishu. He also said AMISOM forces retreated Friday from the town of Kunturwarey. A local official said he had been informed by AMISOM that the militants entered the town few hours after security forces left. He said some residents started fleeing and described others as shocked and gripped with fear that militants would kill civilians. Separately Saturday, an AMISOM convoy was targeted with a car bomb outside the nearby town of Jannaale. Militants said they had killed several soldiers in the attack, a claim that VOA could not verify by late Saturday. AMISOM has not commented. 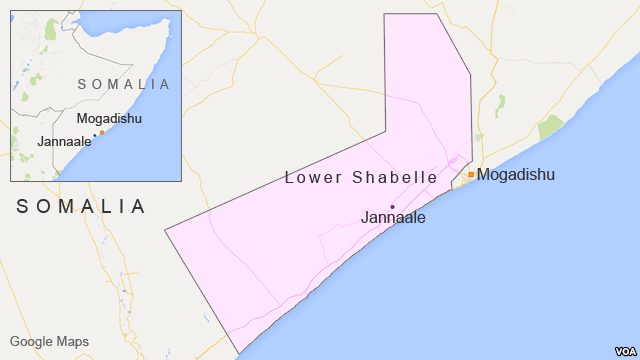 But local official Abdifitah Haji Abdulle told VOA at least one civilian had been killed and three others had been wounded. 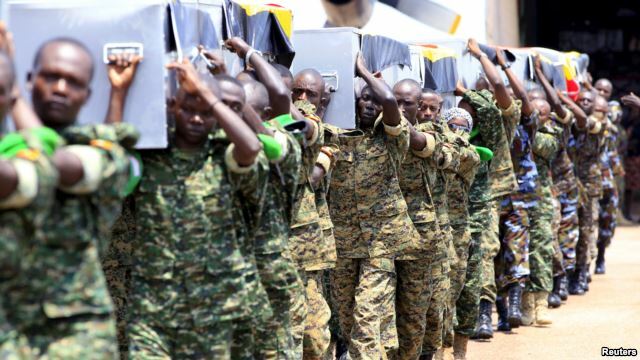 Uganda confirmed Thursday that 12 of its troops attached to AMISOM had been killed when al-Shabab militants raided an AU base in Jannaale. Ugandan military spokesman Paddy Akunda said the attack was a "game changer" and al-Shabab should expect an "appropriate response" from Ugandan soldiers in Somalia. In June, al-Shabab attacked another AMISOM base in the same region, killing more than 50 soldiers from Burundi.